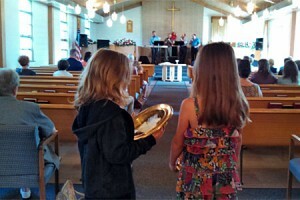 Welcome to Lake Fenton United Methodist Church! No matter who you are, no matter where you’ve been, no matter what you’ve done, we believe that God loves you, and there’s nothing you can do about it. We will do our best to love you the way God does, and we promise that we will never make you feel unwanted or small. We begin worship at 9 am every Sunday morning. Worship typically lasts about an hour, after which we break out the coffee and doughnuts. Nursery care is available. We believe it is important for families to worship together – children need to see parents and grandparents making room for God in their lives. 2581 N. Long Lake Rd.